I kind of shrugged off Instagram as a lead generation machine until I saw this marketer pulling in 150+ new leads every single month with her Instagram strategy. Instagram has over 200 Million monthly users and has been proven to have more engagement than Facebook and Twitter combined for branding. Plus…it’s so easy it’s almost embarrassing (as long as you’re doing it right). 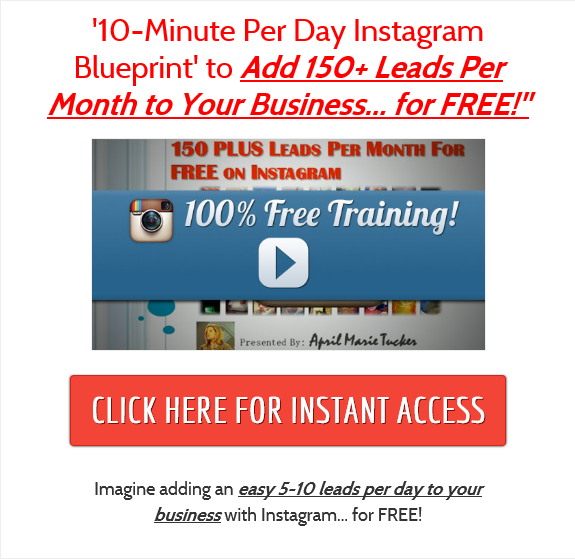 Watch as this marketer shows you how she’s raking in 5 to 10 leads a day on Instagram … right from the palm of her hand.